Choose your favorite beach! Volunteers will be there with everything you need. 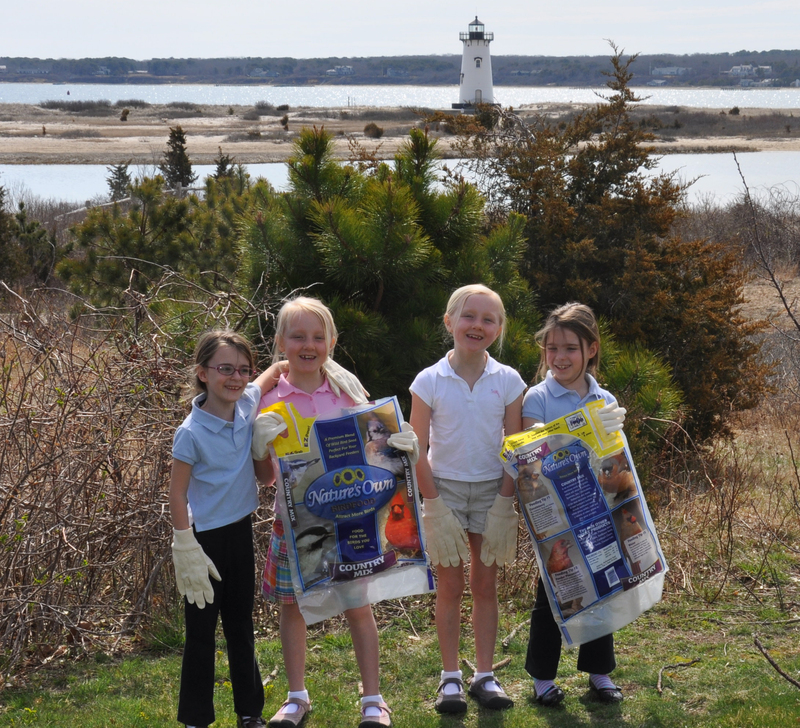 Join VCS for a lunch party at SBS following the Beach Clean-Up! Free kids raffles for gift certificates to Riley’s Reads! "While various private protective structures can be effective in temporarily protecting shorelines and associated buildings, none will be permanent." Saturday March 19, 12:30-4:30 P.M. The hidden cost of land development is coming home to roost. Nitrogen from septic systems is polluting surface waters. Towns on the Cape and Islands are scrambling with multi-million dollar sewage treatment remediation choices. Thursday, April 7, 2010, 7:00 P.M.
Thursday, April 7, 2010, 7:15 P.M. In a shallow bowl, combine the bread crumbs, Parmesan cheese, paprika and basil. Brush fish fillets with butter, then dip into the crumb mixture. Place in a greased baking pan. bake, uncovered, at 500 degrees F for 10 minutes or until fish flakes easily with a fork. Natural resources on the Vineyard are not immune from the impacts of global climate change. VCS is undertaking a year-long project aimed at inventorying climate change impacts on Martha’s Vineyard and the effects of likely adaptation and mitigation measures. The goal is to identify and advocate for strategies that will protect natural resources and conservation values. Part of our task is to identify nature-based alternatives to conventional adaptation strategies. This mean, for example, finding alternatives to armoring coastlines with stone, concrete and steel. A property owner on Tisbury Great Pond’s Middle Cove is going to great lengths to build a coastal revetment to protect a 3.7 acre property, purchased in 2006 for $13 million dollars. There is a 6,739 square foot house on the site. The ongoing legal fight, being watched in the press (MV Times; Gazette), sheds light on the interplay between science and regulation concerning coastal (in this case pond-shore) armoring. Current rules don’t permit the building of revetments just to protect undeveloped land, but do allow revetments to protect structures. The local Conservation Commission determined that there was no imminent threat to the house, so rejected the revetment request. The state Department of Environmental Protection (DEP) overruled their decision. Click HERE for a copy of the local Conservation Commission’s original denial and HERE for the state DEP’s Superseding Order of Conditions approving a revetment. The ConComm. has filed an appeal of DEP’s decision. The revetment DEP approved is shorter than the one the Commission denied, so the landowner will still need to return to the local ConComm for a permit to proceed. A report that provides analysis and details on historical erosion rates for the U.S. coastline from Maine to Virginia has been released by The U.S. Geological Survey. Click HERE for more on the National Assessment of Shoreline Change: Historical Shoreline Change along the New England and Mid-Atlantic Coasts. An overview of climate change impacts on the natural and built environments in marine and coastal North America is the subject of a new report entitled, “The State of Marine and Coastal Adaptation in North America: A Synthesis of Emerging Ideas”. It also provides a review of an array of adaptation options and a survey of adaptation projects from different regions. Click HERE for an abstract.